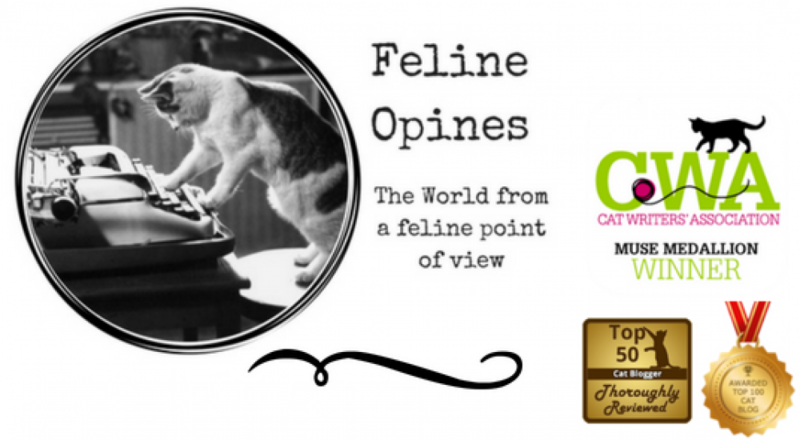 This entry was posted in Cat blogs, Cat writers, Cat Writers Muse Award winning blog, cats, Pet blogging, shelter cats, Siamese cats and tagged a devotional for cat lovers, Anita Aurit, cat books, Feline Opines, felines, Felines Opine on God, The Tribe of Five, tribe of five by Feline Opines. Bookmark the permalink. That’s wonderful! If you are so inclined to leave a review after you’ve read it I would greatly appreciate it! That is a beautifully done video…..we just love it and think one of God’s greatest gifts to us was creating the animals who beautify every corner of our earth and give us joy and unconditional love. That was really most wonderful, I’m gonna go watch it again! How fun. What a lovely video. Wow. This book is going on my list very soon. Thanks for watching. The Female Human needs to learn more about this movie making stuff. Thanks so much. First attempt and still have a lot to learn. Working on a new one for Halloween. I got the book quite a while ago, but just got around to the promo. You guys are cat-astic!